It was here, outside this church, that one of the blackest events in modern Greek history took place. At dawn of 27th September 1831, Ioannis Kapodistrias was murdered. The fort on the sea, which has remained known by its Turkish name 'Bourtzi', meaning tower, has become Nauplion's trademark. This small island is in the middle of the city's harbour. The fort of the Palamidi, which has been preserved in excellent condition, is one of the greatest achievements of Venetian fortification architecture. Its name is from the Homeric hero Palamidis. The rocky peninsular of the Acronauplia comprised the walled settlement of Nauplion from ancient times until the end of the 15th century. The Acronauplia walls bear witness to its rich history. In Michael Iatrou Street between the church of Aghii Pandes and the modern graveyard, the visitor will find an exceptional sculptured monument, one of the most important of 19th century. 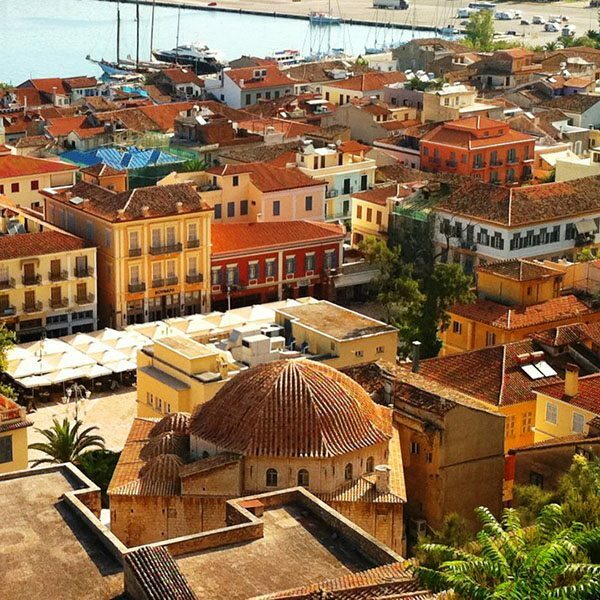 Nafplio was the first capital of Greece during its recent history. It attracts a great number of tourists every year. The Medieval castles, the neoclassical buildings as well as the alleys paved with stone and full of vougainvilleas create a marvelous spectacle and reveal the city’s long history. 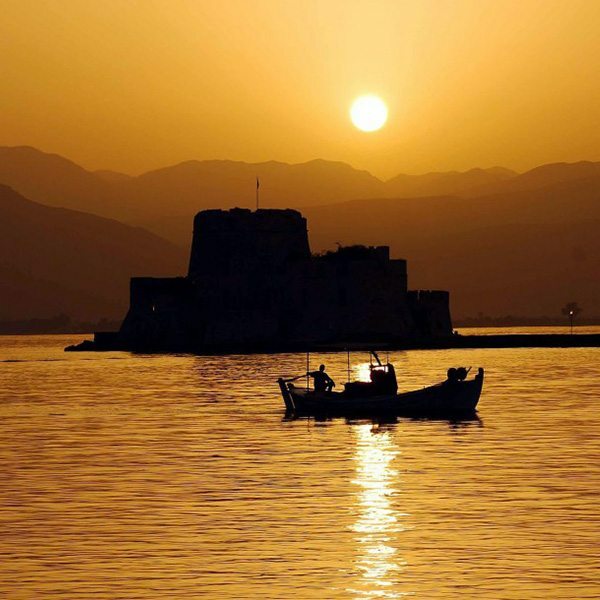 According to Greek mythology, Nafplio was named after the son of Poseidon and Amimoni. Archeological research has revealed that Nafplio has been inhabited even since the Premycenaean period. According to mythology, the town was founded by Náfplios, the son of god Poseidon and the daughter of Danaus (Danaida) Anymone. The town’s history traces back to the prehistoric era when soldiers from here participated in the Argonautic expedition and the Trojan War alike. The town declined during the Roman times and flourished again during the Byzantine times. Frankish, Venetian and Turkish conquerors left their mark in the town and strongly influenced its culture, architecture and traditions during the centuries. Ancient walls, medieval castles, monuments and statues, Ottoman fountains and Venetian or neoclassical buildings mesmerize the visitor with their unique architecture and beauty. Follow a dream trail to discover Nafplio’s precious gems starting from the medieval Old Town, the narrow cobblestone alleys, the neoclassical well preserved mansions with the Bougainvillea trees adorning their yards and balconies and the Turkish fountains. In the very heart of the city stands the Italianate Syntagma Square where you can admire importanthistoric buildings and monuments. Two Turkish mosques (the first used to house the first “Mutual Learning” School and now operates as a cinema/theatre whereas the second was home to the first Greek Parliament), the Archaeological Museum with important artifacts from the Prehistoric and Mycenaean Era and the Municipal Gallery are among the buildings that stand out. Very close to the modern city stand the church of Agios Spyridonas, in front of which Governor Ioannis Kapodistrias was assassinated, and the church of Agios Georgios boasting important murals such as a copy of the famous Leonardo Da Vinci work “The secret Dinner”. Next stop: the Palamidi Castle, which proudly stands 216 m above sea level. In order to reach it you have to climb all of its 999 steps carved into the rock. Not to worry, though: the view from above here is totally rewarding! 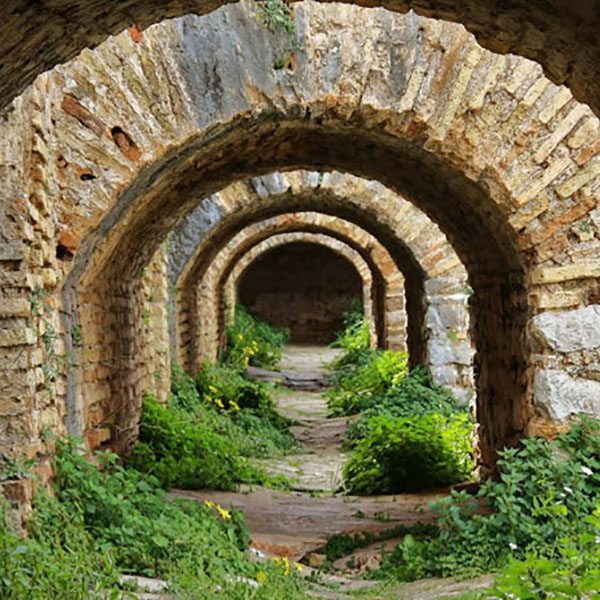 Venture into a place drenched in history, where the famous hero of the Greek Revolution Theodore Kolokotronis had been imprisoned; it seems as if its battlements -named after the renowned ancient heroes Themistocles, Achilles, Fokion, Leonidas, Epaminondas and Miltiades- are still carefully protecting the city. Agios Andreas battlement built at the top of the Castle by Venetian conquerors undoubtedly offers stunning views to the Argolic gulf and the Mycenaean plain. Akronafplia is the historic rock at the foot of Palamidi hill, also known by its Turkish name “Its Kale” (meaning inner castle). Inhabited since prehistoric times, the peninsula consists of three levels, among which stand three independent castles, the oldest being the western one. It was there that the ancient acropolis was situated, fortified with polygonic Cyclopean walls. The most photographed spot of Náfplio –and its point of reference as well– is Bourtzi, the Venetian small fortress standing on the rocky islet of Agioi Theodoroi. During the Venetian rule it was connected to Acronafplia through a huge metal chain that secured the port against enemy ship attacks. At the beginning of 1860 in Bourtzi used to live the executioners of Palamidi prisoners. In the summer you can reach the fortress by boat departing regularly from the port. If you are lucky enough you may even be able to attend one of the fascinating festivals taking place on the islet! 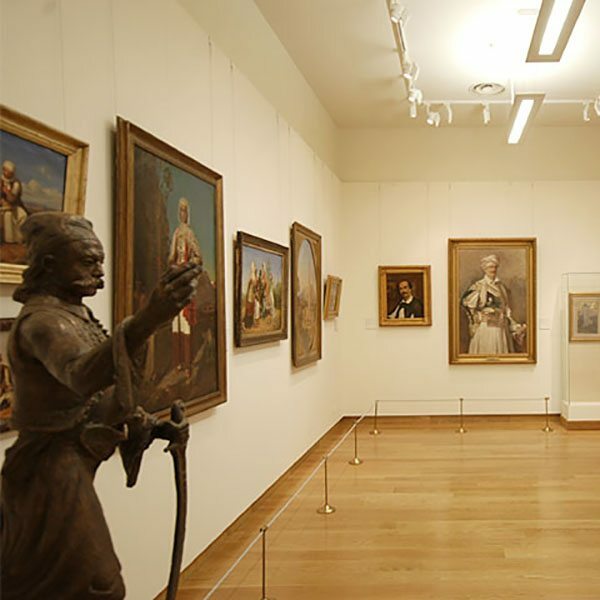 The Peloponisian folkloric foundation of B. Papandoniou, the most important folkloric foundation of the Greece which has also been awarded as the first and biggest folkloric museum of Europe. The Archeological museum, established at a Venetian building which was constructed in 1713. One can admire rare artifacts of the Mycenaean period. Syndagma Square, the most important and historic square in Nauplio. Today, one can see many important historic buildings in the square, such as the Venetian Warehouse of the Fleet. Mycenae 'Rich in Gold', the kingdom of mythical Agamemnon, first sung by Homer in his epics, is the most important and richest palatial centre of the Late Bronze Age in Greece. Argos is one of the oldest cities in Greece. The city of Argos is believed to be the birthplace of the mythological character Perseus. The town is only 10 minutes away from Nafplio. In a canyon, in 340 BC, architect Polycleitus from Argos, built, according to Pausanias, the theatre of Epidaurus. Among all the ancient theatres, Epidaurus theatre is the most beautiful and well preserved.